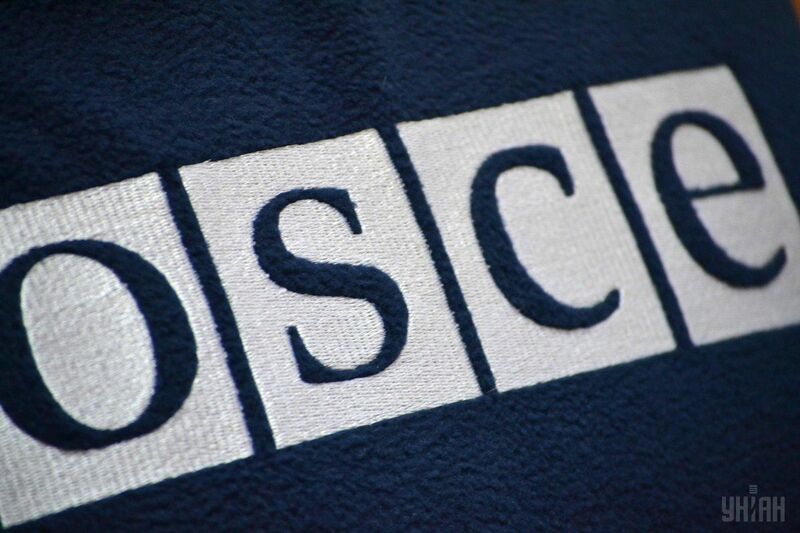 The OSCE Special Monitoring Mission (SMM) to Ukraine says it has once again recorded the deployment of multiple launch rocket systems (MLRS) in the occupied territories of Donbas in eastern Ukraine. "In violation of withdrawal lines, in non-government-controlled areas, aerial imagery revealed the presence of eight multiple launch rocket systems (MLRS) (type unknown) on August 9 at a possible training area about 5km south-east of Miusynsk (62km south-west of Luhansk) where previously at least 16 MLRS had been observed," the OSCE SMM said in an update based on information as of 19:30 local time as of August 13, 2017. Read alsoOSCE observers repair destroyed CCTV cam in Donbas"Beyond withdrawal lines but outside designated storage sites in non-government-controlled areas, aerial imagery revealed the presence of 11 self-propelled howitzers, eight towed howitzers and 16 tanks (type unknown) on August 9 at a possible training area about 5km south-east of Miusynsk where previously nine self-propelled howitzers, 12 towed howitzers and 18 tanks had been observed," reads the report.